We propose an efficient approach for interactive visualization of massive models with CPU ray tracing. A voxel-based hierarchical level-of-detail (LOD) framework is employed to minimize rendering time and required system memory. In a preprocessing phase, a compressed out-of-core data structure is constructed, which contains the original primitives of the model and the LOD voxels, organized into a kd-tree. During rendering, data is loaded asynchronously to ensure a smooth inspection of the model regardless of the available I/O bandwidth. With our technique, we are able to explore data sets consisting of hundreds of millions of triangles in real-time on a desktop PC with a quad-core CPU. 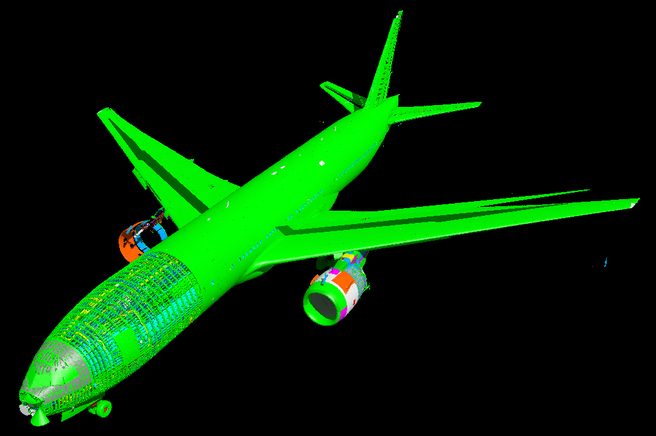 The Boeing 777 data set was provided by and used with permission of The Boeing Company.